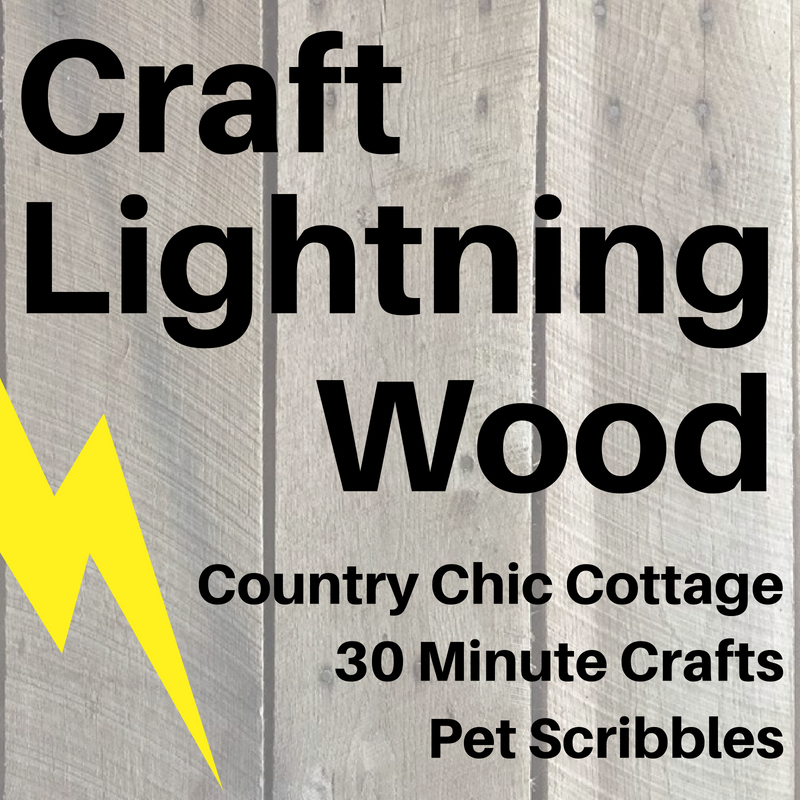 This project is part of the Craft Lightening Series, easy to paint in a 15 minute flash! I am excited to team up with a very talented group of bloggers for this group of Craft Lightening projects! Each of these projects can be completed in just 15 minutes, great for those who love to craft but don’t have a ton of spare time. This month the theme is wooden crafts. All of the projects in the linkup will be using some sort of wood for the base. Here’s how you can Paint a Marbled Wooden Tray in Just 15 minutes! Lay the sign on it’s back with a piece of plastic or newspaper under it to catch any drips from the paint. Line the edge of the tray with the Frog Tape to keep the paint from spilling on to the edge. Pour the paint can 1/4 of the way full with the Deco Art pouring medium. Add the different colors of Acrylic craft paint to the can, I used 2-3 squirts of each color. Combine the paints and the Pouring Medium slightly with the plastic knife to blend the colors, DO NOT OVER STIR THEM. THE COLORS SHOULD SWIRL TOGETHER BUT NOT COMPLETELY MIX. Pour the paint on to the tray, lifting the tray to run the paint into each corner and completely covering the bottom of the tray. Let dry 24 hours.. My tray took a lot of drying time since our climate is very damp. Seal the painted tray with the Clear Pouring Top Coat in the same fashion after it’s completely dry. It’s really fast and easy, this part I loved! It is the slowest drying paint I have ever used! Great way to use lots of colors! Love this too! After 24 hours, the paint is still not really dry. I tried using a hair dryer to speed things up a bit but even this did not help. I was afraid to put much weight on it until it was completely dry, and I have yet to even begin the top coat. However, I have to finish this post, so I displayed it anyway. Removing the Frog tape was a bit of a challenge. The paint is rubbery in consistency and pulled apart from the edges of the tray. I ended up having to score it with a sharp knife before taking it off completely. Perhaps this was because it wasn’t 100 percent dry, but it seems like this paint is a very different consistency overall and just sticks to the tape. Even the empty milk bottle made a small impression in the paint after taking this photo. Hope you enjoy these other projects from the Craft Lightening gang, thanks to Angie Holden from Country Chic Cottage for setting it all up!